We put on approx. 20 different performances every day in the park during our preseason. In Katthult, Emil is up to mischief to his father Anton’s annoyance and in Villekulla Cottage, Kling and Klang try to catch Pippi Longstocking. Scenes from the books are also performed on Karlsson’s roof and wherever Rasmus is. You can see the daily programme for the 2019 preseason further down. 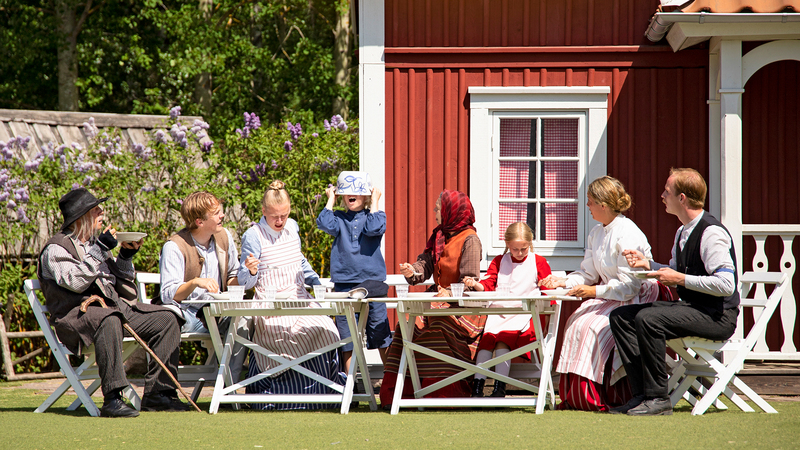 The daily programme will show you the times of the performances and when Pippi Longstocking, That Emil, Karlsson of the roof and the others are at home so they can meet our visitors.